Bomanite COLOR FLASH is a multicolored quartz aggregate blend that is cast on the surface of architectural concrete finishes to provide enhanced color features. The addition of Bomanite COLOR FLASH to a color hardened surface can achieve the look of quarried granite stone, natural limestones, natural river rocks and specific types of brick and tile. Bomanite COLOR FLASH is cast onto the surface of color hardened concrete during the plastic set stage. The aggregate is cast in one shake and the amount will vary depending on the desired appearance. 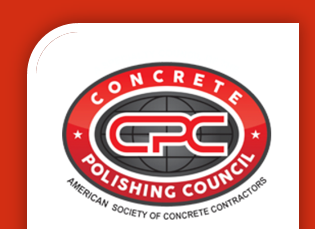 COLOR FLASH should be troweled into the surface only in order to embed the material at the concrete surface. Do not float the material into the surface as this will work it too deep into the concrete and the desired finished appearance will not be achieved. Once hardening has occurred, COLOR FLASH should be exposed by means of manual scrubbing, mechanical buffing, acid etching or light sandblasting of the surface. The typical time frame of exposing COLOR FLASH is 1 to 7 days, depending upon the method of opening the concrete surface. After the surface has been adequately exposed, allow to dry thoroughly. The finished surface should be sealed with a Bomanite Sealer specially formulated to enhance the color system. Typical range is 0.1 lb. to 0.3 lb. / square foot. This product is intended to be cast onto horizontal surfaces and is not intended for use on vertical surfaces higher than normal step risers or short walls. COLOR FLASH is not intended to be used as a surface hardener. Product contains free silica. Do not take internally. KEEP OUT OF THE REACH OF CHILDREN. Read Material Safety Data Sheet for complete health and safety information.